Christmas decorations are FINALLY put away...should I not admit to how long it took? Oh well, too late now. But during the packing and cleaning and stacking and sorting...some empty totes were laying around awaiting their turn to be filled. 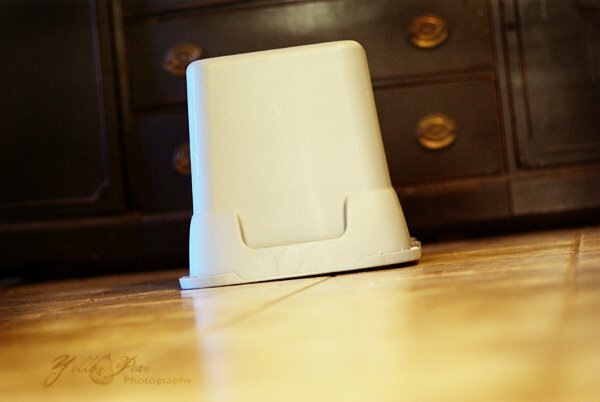 I was chatting with the hubs about something or another and we noticed a tote scooting its way across the kitchen floor. We couldn't believe we had a self-moving tote in our house! 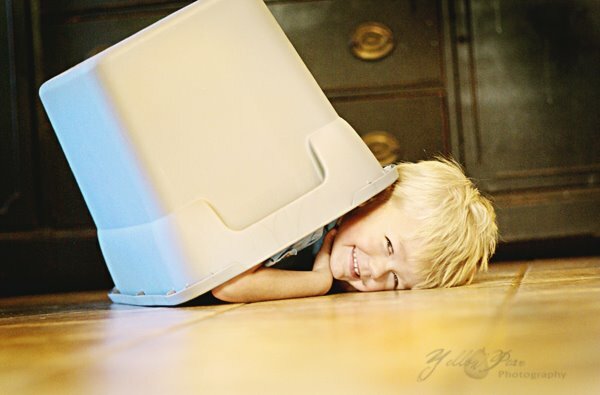 Then, with the lightning-quick speed of a 3-year old...a little body shoots out from underneath, grabs a handful of candy off the counter and shoots back under the tote to continue his scoot back across the floor. We proclaimed in mock-shocked voices, "What?! There is a tote in our house moving by itself and there was a pile of candy and now there isn't...how can that be, we didn't even see anyone do it?" The tote chuckled and shook. And then laughed out loud and then Dennis emerged...saying..."It was me!" We never would have guessed! That is too cute! He is such a character! That IS a little tote! i must say that i LOVE how you handled this. and what an adorable face! how DID he fit in that AND scoot it around? ingenious. I really do think that Dennis lives at your house. How funny. Too cute! I always enjoy your "Dennis" stories. It was good to talk with you and thanks so much for your help. I can't believe he fit in that...too funny. Now the possibilities are endless!! That kid is a crack-up! Life is never dull with him around, huh?